Your Wedding Day is a very special occasion and The Square not only provides a lovely backdrop but a church with all the facilities to make your ceremony memorable. The church seats up to 500 people. It has a large screen and sound system, a fine organ and plenty of space. To request a Wedding at The Square Methodist Church please contact us via the Contact Us page. Weddings may be arranged for any day and are not usually held during normal Sunday services. There is a charge of £390 to cover expenses, which includes church fees, administration, the organist, flowers and stewarding. 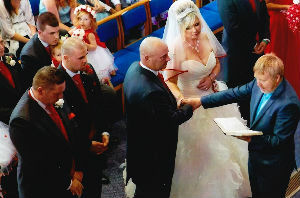 A marriage ceremony is a formal occasion when a solemn, legal contract is made between a man and a woman. In a Christian context, it is also an act of worship in which marriage is celebrated as a gift of God and the joy of the couple is shared and their commitment to each other is witnessed by family and friends. 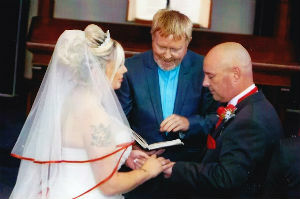 You may also find helpful information on The Methodist Church in Britain website Weddings page.